Oops … before I forget, I want to mention that Friday at 7:00 Threeds will be at Joe’s Pub. Doors open at 6:00. You can read more here. Today was a full day … again! The sounds of the convention are many and varied. The sounds in the vendor rooms rather amazing. I took my iPhone around and just captured them, so I’ll post that sometime soon, but right now I have to get to bed. 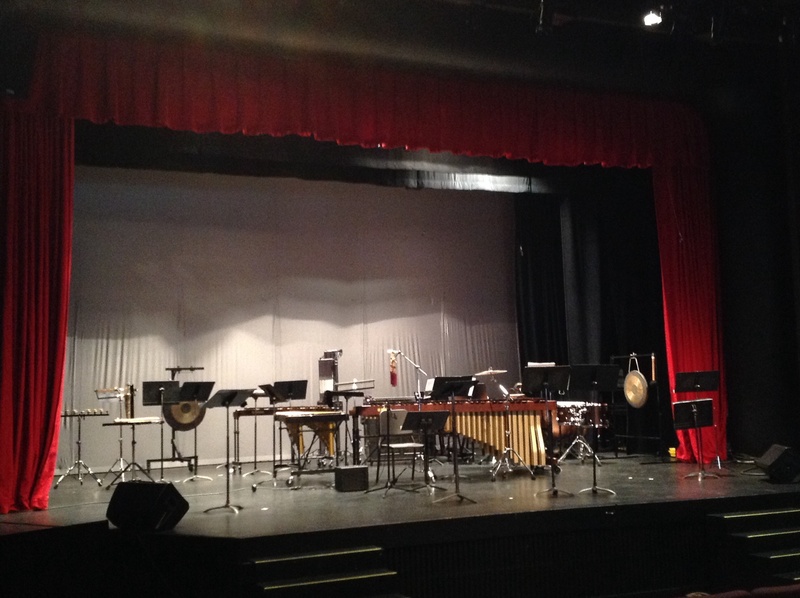 Prior to lunch, and after the first recital, I heard both a Baroque ensemble and a jazz duo. There is a huge variety of music here. I love that! I just heard a recital of new music by John Steinmetz. The first work was a duo for bassoons, with one playing contra on two of the four movements, and the other was a duet for oboe and bassoon. 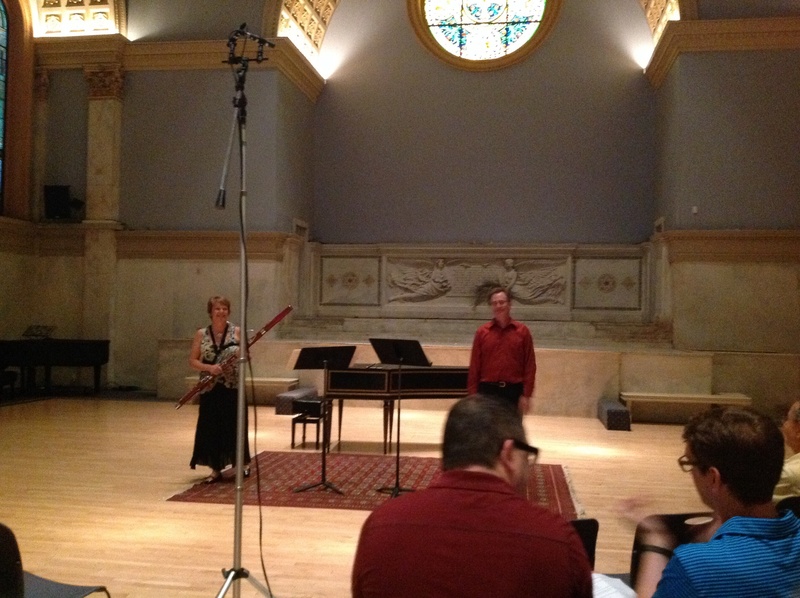 Musicians were tom Nugent on oboe, Nicolosa Kuster on bassoon and Margaret Philips on bassoon and contra. Bravi tutti to all! I didn’t manage to get a photo after the first duet, but here’s one from after the second. I was told earlier today that we will be doing open mic at It’s Someplace Else tonight!!! Bring your Oboe and lets do this thing!! 9-1! !